Chapter 2 – Bjarni Herjólfsson seeks Greenland. A fascinating discovery is shedding light upon pre-Christian Scandinavian religion and early Christian inroads into Norway. In the Norwegian press, this highly important find is being called “unparalleled,” “first of its kind” and “unique,” said to have been “deliberately and carefully hidden” – from invading and destructive Christians. 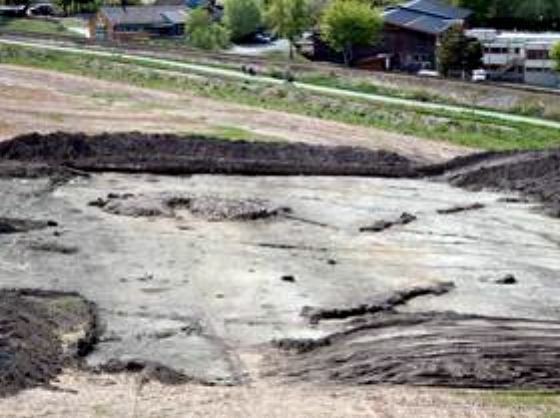 Located at the site of Ranheim, about 10 kilometers north of the Norwegian city of Trondheim, the astonishing discovery was unearthed while excavating foundations for new houses and includes a “gudehovet” or “god temple.” Occupied from the 6th or 5th century BCE until the 10th century AD/CE, the site shows signs of usage for animal sacrifice, a common practice among different peoples in antiquity. Over 1,000 years ago, the site was dismantled and covered by a thick layer of peat, evidently to protect it from marauding Christian invaders. These native Norse religionists apparently then fled to other places, such as Iceland, where they could re-erect their altars and re-establish the old religion. Leif Ericson- A mighty man of God. REFLECTIONS ON VIGRIDR/OSKOPNIR AND IDAVOLLR: THE NORSE WORLD DURING AND AFTER RAGNAROK.